I was gawking at these live white clams when I chanced upon them at SM Hypermarket at The Block in SM City yesterday. They were contained in an aquarium-like casing along with the other great seafood finds when I saw them. I was silently raving and enjoying the site of live seafoods like catfish, suaje, etc. right smack in the middle of an air-conditioned grocery! Why, you can hardly find live clams sold even in wet markets! So goes my excitement that I immediately grabed a kilo or so. Now what to do? 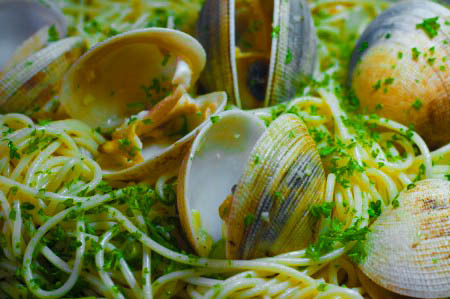 Almost instantly, I remembered Ginny Roces-de Guzman’s rendition of Vongole pasta (Vongole means ‘clams’ in Italian). I tried my hand in whipping up this Italian dish today and savored every morsel of this pasta. Meatless, healthy and uber tasty, Jake and I finished the whole pan! I like any dish that’s been infused with wine. With this pasta, I used a South African white wine called Kamala Chardonnay Semillon that Jake and I bought from Wine Depot last Saturday. The wine just put everything together, I mean, the dish rocked because of it. And, together with the clam broth and the flavors of garlic and onion it just spelled– BANG! Ahhh, super good! The recipe was lifted from Ginny’s family cookbook called, ‘Celebrations’. I’ve been crazy hooked browsing this book. The recipes just make me drool, page after page, picture after picture. I’ve drawn out my next projects from that book, the cold tomato and sour cream soup, crispy fritters, oriental glazed duck with wild rice pilaf, pao de queijo, mackintosh pie, etc. Can’t wait to try them! 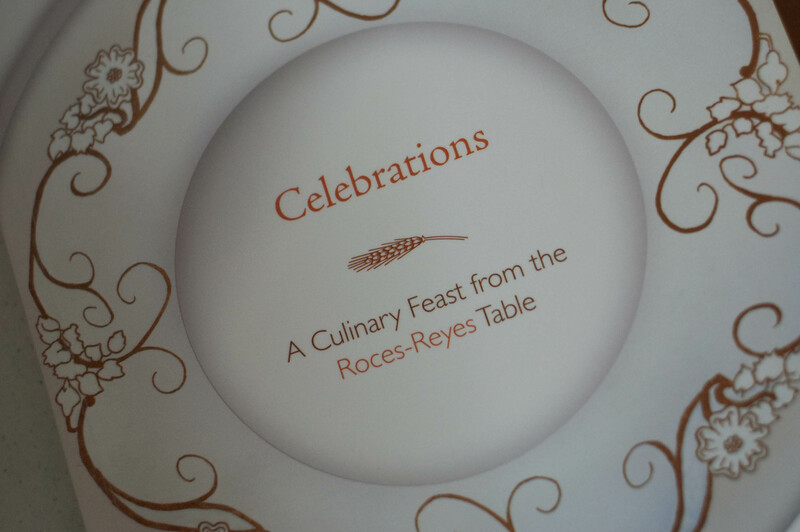 *The book and the story behind the ‘Celebrations’ cookbook will be featured in the May issue of FOOD magazine.